After spending 10 days touring in the UK, The Mavericks will visit Nashville to tape IN TIME Live, a concert event named after the group’s recent album In Time, for PBS. The taping is open to the public and will be held at Nashville’s Marathon Village on Tuesday, Aug. 6 at 8 p.m. It will air on PBS in December. Tickets are on sale for $20-$25 and can be purchased here. 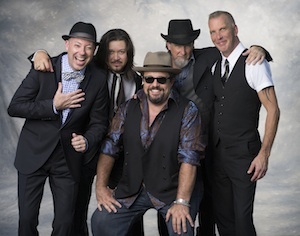 After visiting Music City, The Mavericks will continue their tour in Canada.